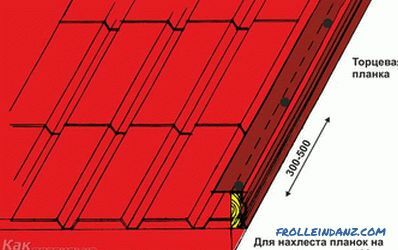 The installation technique of a special profiled sheet used to cover roofs is relatively simple. To master it, it is quite enough to become familiar with some features of the material used, as well as with the basic rules for handling it. 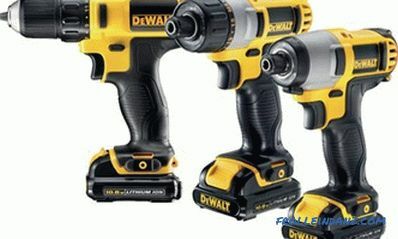 to prepare the fixture corresponding to the selected material. 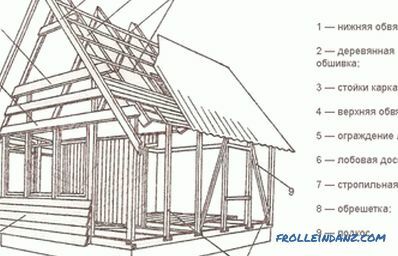 The complexity of installation work increases significantly in the case of construction of roofs of complex configuration. 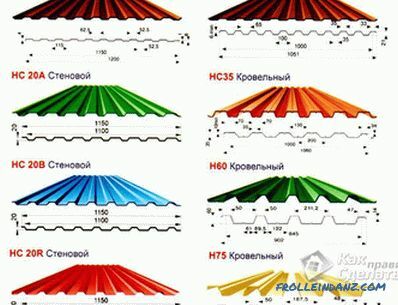 Material brand "C", which is a sheet of sinusoidal (trapezoidal) profile with a wave height of 8 to 44 mm, which is usually used for the construction of light roofs or as a decorative wall covering. 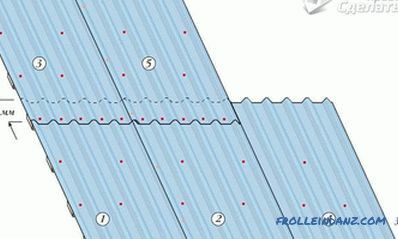 “NS” brand sheets with a fixed wave height of 35 or 44 mm, used for arranging typical roofing coatings. 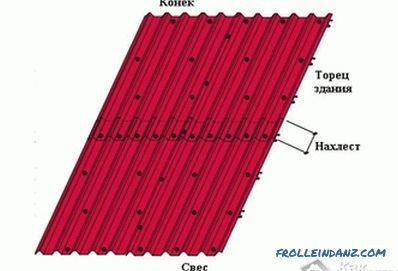 Sheet material of “H” grade with a wavy profile height from 57 to 114 mm, reinforced with stiffening ribs, which allows using it for closing roof roofs. with base angles less than 12 degrees mandatory sealing of the horizontal and vertical seams which are formed in places of overlappings. 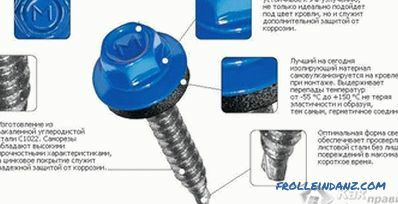 As a rule, for these purposes, conventional silicone sealant is used. 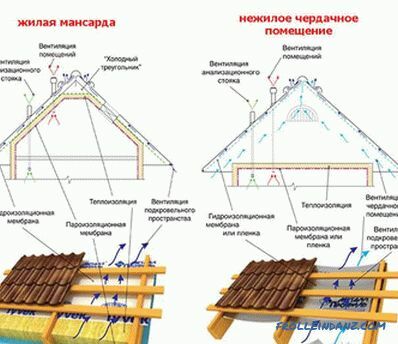 Before closing the roof with a metal profile it will be necessary to worry about the arrangement of waterproofing that protects wooden elements of the structure and insulation from the damaging effects of moisture. Waterproofing, which is usually used as a thick polyethylene film, is attached directly between the rafters with small building clips. A small overlap (about 15 cm) is made at the junction points of adjacent strips of film. 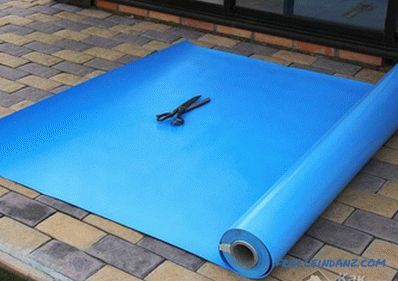 Special attention should be paid to the fact that the protective waterproofing film should be stretched with a slight slack (about 2 cm), and between it and the insulation material there should be a small gap of about 2-3 mm. Special ventilation rails are mounted on top of the waterproofing layer, creating conditions for air circulation in free spaces under the crate and excluding the possibility of accumulation of unwanted moist fumes in this place. 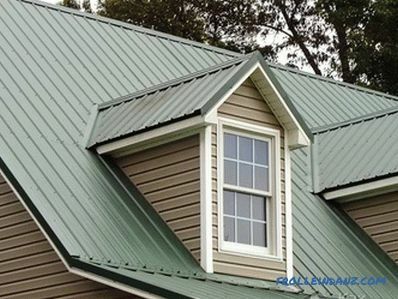 For the installation of metal profile blanks, a special lathing should be used that provides the required strength of the roof structure and withstands its breaking or bending under the influence of wind loads or under heavy snowfall. 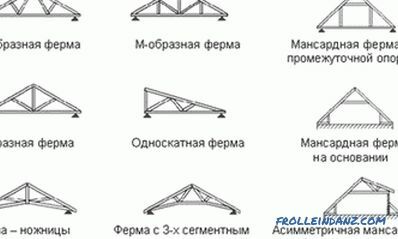 Manufacturers of roofing metal products indicate the main parameters and the procedure for arranging the battens for them in the instructions attached to the product. That is why before starting work it is recommended to carefully read all the instructions on how to use the purchased material. After the installation of the batten is completed, a special end plate is nailed onto its ramp section, width which should correspond to the height of the selected roof profile. the second and all subsequent rows of the cover are mounted similarly (taking into account the overlap with the previous row). To the crate, sheets are attached through each second wave. In the course of work, it should always be remembered that it is allowed to move only along finally fixed workpieces. 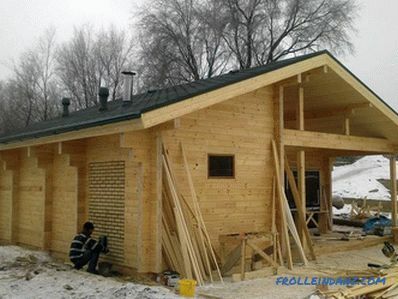 In this case, the feet should be placed in the deepening of the waves, based on the elements of the sheathing.